But the Dragon King hungered, as all dragons do. He came forth from his lair and brought fire down from the sky, and so much rain that the people of Enoshima were forced to seek shelter in the caves. He, along with the winds, and baneful spirits, departed from Enoshima to sate their hunger throughout the rest of the land. They broke the backs of mountains and crumbled hills into dirt, releasing the waters and making all the people suffer. It was then that the earth shook, and clouds darkened the sky, and a burst of golden radiance shone bright as the sun, and descended to the earth. 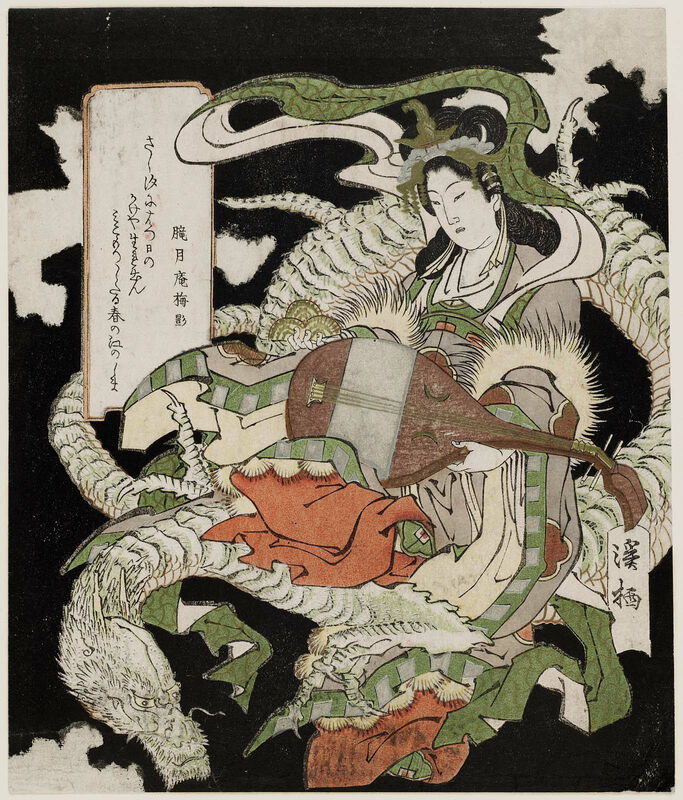 It was none other than the Goddess Benzaiten, taken mortal form. Upon seeing her, the dragon was filled with love, and forgot his hunger. Instead, he uttered sweet words to her, and asked if she would be his bride. The dragon knew nothing but his love for the goddess, and his hunger was sated. 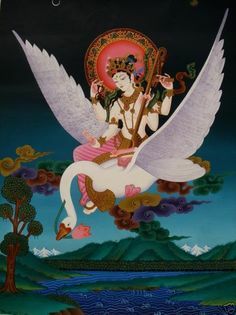 “Great Goddess,” he asked, “I wish to be compassionate as well. Make it so that I may care for living beings as you do!” And then, as the goddess consented, the dragon turned to stone. He remains there this day as a hill, where he is the protector of children and of Enoshima itself.